Embedded in the #LetsCluster Summit, the third DeepTech4Good event took place in Graz on March 26th. DT4G is an Acceleration Programme, financed under the Horizon 2020 framework of the European Union, with the aim to accelerate the development of Deep Tech startups. After the first events in Paris and Stuttgart, Graz was the third out of four events, the final one will take place in Barcelona on April 25th. In Graz, 19 startups got the opportunity to pitch their ideas, products, and services in front of an interested audience and investors. 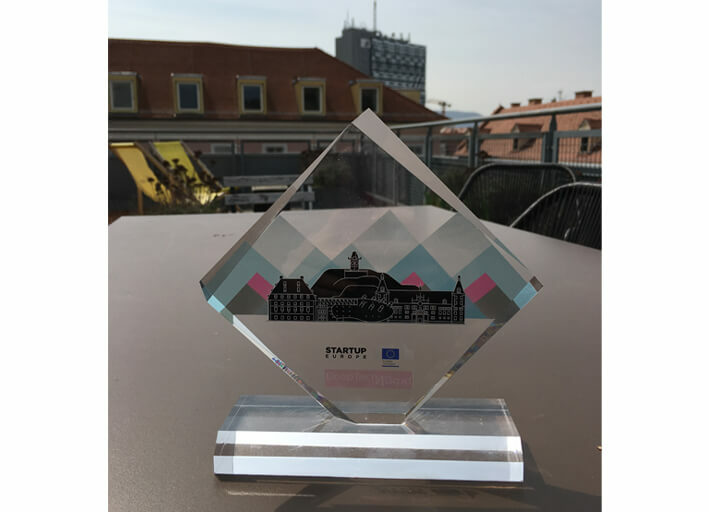 The latter ones assessed the ideas and presentations in order to find the most promising startups – and we are proud to announce that our image data management and automated analysis platform IKOSA® was awarded! Amongst the winners were innovative ideas from other fields of application as well – such as smart garbage bins by SLOC or ObjectBox with their superfast edge database for IoT. We are proud of this distinction that gives us additional motivation to reach our goal of developing the most flexible platform for your images.